Trying to communicate with new friend? Very curious!! It looks like you were very gentle though! Good job! OOOh! A new friend?! He's very pretty! You've got a cute little friend! Absolutely adorable!!! 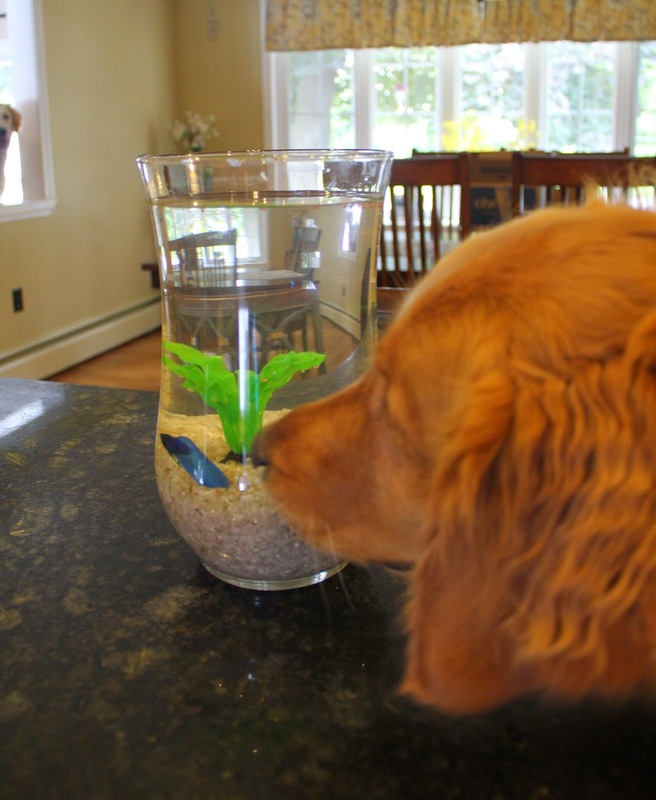 I have a picture on our fridge of Zeus as a pup nose-to-nose with the Beta we had... love doggies & fishies! Is there a fishie in there? Curiosity may kill the fish! That's not the kind of fish fry you want Miley. So I'm not the only person who has thought of getting a "pet" for her golden retriever? I'm thinking Honey would enjoy a kitten herself. Is that fish your best friend? 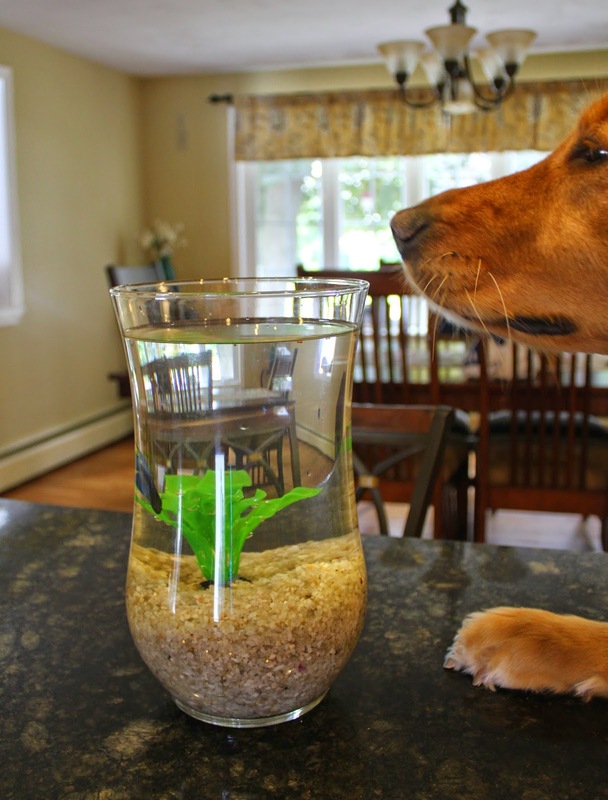 So I guess that is a fish in that glass??? It is really cute. Aren't you being good just watching that fish. Wonder what kind of fish it is?? Anyway, thanks so much for coming by our blog. Good to meet you. Have a great day. Will it be fish on Friday? Have a wonderful Wednesday. I think you might have some cat in you?! That's what they'd do. Oh a new friend in the house. You have to tell us what his/her name is. Fish can be very interesting to watch. Happy Wordless Wednesday. Fish watching therapy? Cool new friend! Are you trying to talk to the fish? Curious about the new friend?